Whether you're posing your model or need a place to sit for yourself, the Fotopro 15" Folding Photo Stool is the perfect solution. 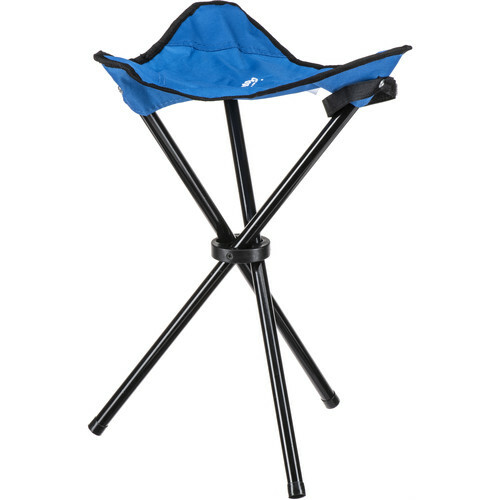 It stands 15" tall on three aluminum legs, and can support up to 250 lbs. The blue canvas seat is stamped with the Fotopro logo, and it can be stored in the included blue canvas bag when it is collapsed for transport or storage. Box Dimensions (LxWxH) 22.55 x 3.85 x 3.15"